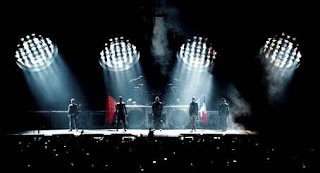 RockChickenz: Rammstein release a concert film masterpiece on May 19 with "RAMMSTEIN: PARIS"
On Friday, March 24, official presale for the concert film "RAMMSTEIN: PARIS" began ahead of its worldwide release on May 19. The film, which will be released in many configurations, sets new standards. In March 2012, during the "Made in Germany" tour, Swedish director Jonas Åkerlund shot two acclaimed Rammstein concerts at the Palais Omnisports arena in Paris in front of 17,000 spectators. 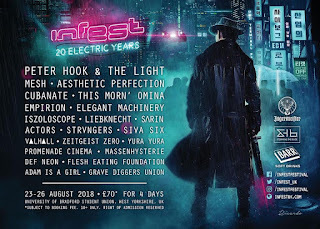 Featuring 22 songs from the band's entire repertoire, the resulting film is not only the most spectacular collection of imagery about the most successful German rock band of our time, but also a masterpiece of music cinema, capturing Rammstein's energy as a unique visual and sonic experience. Artistically and dramaturgically ingeniously staged, like an overwhelming video clip, "RAMMSTEIN: PARIS" is one of the best rock concert films of all time. "Absolument"